Article: Higher remuneration key to better board? Higher remuneration key to better board? The revised guidelines as per the new Companies Act such as maximum number of Board positions per director have reduced the pool of available individuals who are willing to serve as a director. As with all things impacted by supply and demand, the total compensation provided to directors will need to keep pace. Director compensation has hardly received any attention over the years as investors, regulators and the public have mainly focused on soaring executive compensation. Interestingly in the same period the demands on directors have become much greater, the new Companies Act and SEBI guidelines have increased the liabilities, the amount of work and effort and risk has gone up a lot. The role of the board has been under close scrutiny, and directors have faced greater challenges than ever before. Concern over possible personal liability for directors has grown. Arguably, the revised guidelines as per the new Companies Act such as maximum number of Board positions per director have reduced the pool of available individuals who are willing to serve as a director. As with all things impacted by supply and demand, the total compensation provided to directors will need to keep pace. The core principle of good governance in director compensation remains unchanged, Corporate directors should be paid fair and reasonable compensation, in a mix of cash and equity (as appropriate), to a level that will attract high-quality candidates to the board, but not in such forms or amounts as to impair director independence or raise questions of self-dealing. And just as the form of executive compensation has shifted over recent years, the form of director pay has followed suit. Over the past 7 years, as per the data from India Board Report, total director remuneration has indeed increased significantly. Given that directors now are expected to devote more time to their individual directorships and that individual directors tend to serve on a smaller number of boards, the increase in overall compensation is not surprising. 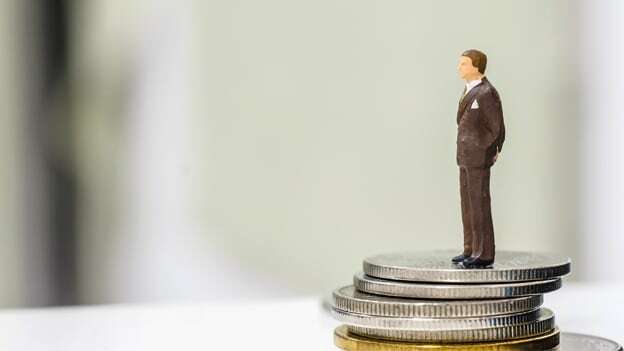 While compensation remains composed of both cash and equity, the mechanisms for compensating directors, and the forms of compensation, are gradually changing, however only as permitted by Companies Act. Boards should minimize the complexity of director compensation structures. Directors should consider periodically seeking approval for directors' compensation from shareholders. The traditional directors’ compensation includes both a sitting fee for attending Board and Committee meetings and annual commission. The presence of a meeting fee supposedly encourages meeting attendance and automatically adjusts for workload as measured by the number of Board and Committee meetings. However meeting attendance is becoming less of an issue today and the attendance data also gets reflected in the annual Board evaluation that has now become mandatory. In recent years, most large companies and more mid-sized and small companies have simplified their approach to delivering cash compensation by providing a larger single cash retainer. The rationale for this change is to ease the administrative burden associated with paying a director a fee for each meeting attended and to communicate that meeting attendance is expected with less emphasis on actual time spent and more emphasis on the annual service provided to shareholders. The commission component is also gaining traction where a percentage of the profits are allocated annually towards the Director compensation. The comparison of CEO pay with Director Compensation is quite interesting between USA and India. The average pay package for a CEO in USA for the S&P 500 company in 2014 was $12.2 million, and according to Equilar research, the median pay of directors was $233,600. Similarly in India, data showed that in 2011, the average remuneration of Managing Directors of 30 BSE Sensex companies stood at INR 10.9 crore, while for BSE 100 and 500 companies it stood at INR 6.2 crore and INR 3.6 crore respectively. At the same time the data from India Board Report 2011 gives the average Independent Director compensation as INR 9.9 Lacs. The risk and liability exposure has made it harder to get the right kinds of people for boards, as top executives prefer to concentrate on their day jobs. In their pursuit of good director nominees, some companies in USA are now even paying directors a cut of their profits, an arrangement known as a golden leash. Golden leashes have been used by activist hedge funds in proxy contests, the compensation was meant in part to attract the best candidates. Interestingly a few well known companies pay their directors little or nothing. In 2014, in Berkshire Hathaway no director received more than $6,700 for the year. Berkshire Hathaway CEO Warren Buffett has warned that directors dependent on board fees aren’t truly independent. “None took the job for the money,” he wrote. “They receive their rewards instead through ownership of Berkshire shares and the satisfaction that comes from being good stewards of an important enterprise.” Similarly Amazon also does not pay its Directors very little retainer, almost negligible. However overseeing a large, complex company may not be a part-time job, as spending four hours a week is enough to understand the complexities of a large or even a midsized organization. The aggregate cost to have high calibre Directors supporting the CEO and management team is not much when you’re thinking about a large business. Arguably director compensation is quite difficult to justify as often it becomes difficult to support. In many cases it is not directly proportional to the experience brought to the table. In other cases, directors may be too beholden to the nice pay check and unwilling to challenge the management. There not enough evidence that paying directors more actually improves company performance. Some have argued that director pay should also be based on pay for performance. But then it may give directors incentive to encourage a company to take outsized risks and stop being the counterweight to the Executive team. At the same time a CEO who has his/her whole career and reputation staked in the company, will not be willing to take such risks. In summary, the organization should really want to pay enough to make sure the Directors feel happy with the payout that is enough, but not too much and hence be able to attract the most suitable and capable individuals to the Board. In some cases it is too much pay, in others it is too little, and no one can agree what is the right amount. NEXT STORY: TechWorks @ Concentrix: What happens when tradition meets invention?